A new scam in Lincolnshire has seen farmers near Grantham left with bills of up to £300,000 after waste was deposited on their land. In the last week, the Environment Agency’s crime team have dealt with two new incidents where Lincolnshire farmers have been approached and asked if they want tarmac road planings that can be used to repair roads and farmyards on their land. After accepting the offer and cash they found bales of landfill waste dumped on their land instead of the expected road planings, leaving them with an environmental liability and a bill to transport and remove the waste to an authorised disposal site. 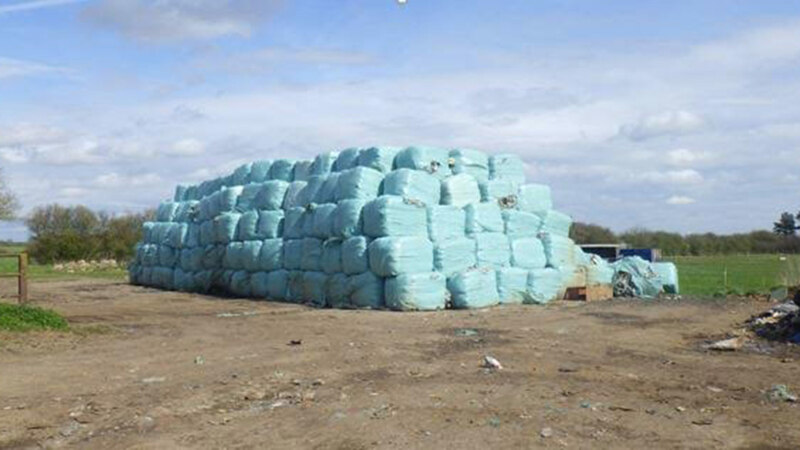 The first farmer had 25 bales deposited on his land this week, including transport and disposal of the waste to a permitted disposal site; this could cost the farmer approximately £3,000. The second farmer had approximately 2,500 bales deposited on his land. The cost of disposal at a permitted disposal site could result in a bill of approximately £300,000.